- Pioneer is a FREE open-source remake of Frontier: Elite 2.
universe of star systems create unparalleled opportunities for exploration and trade. 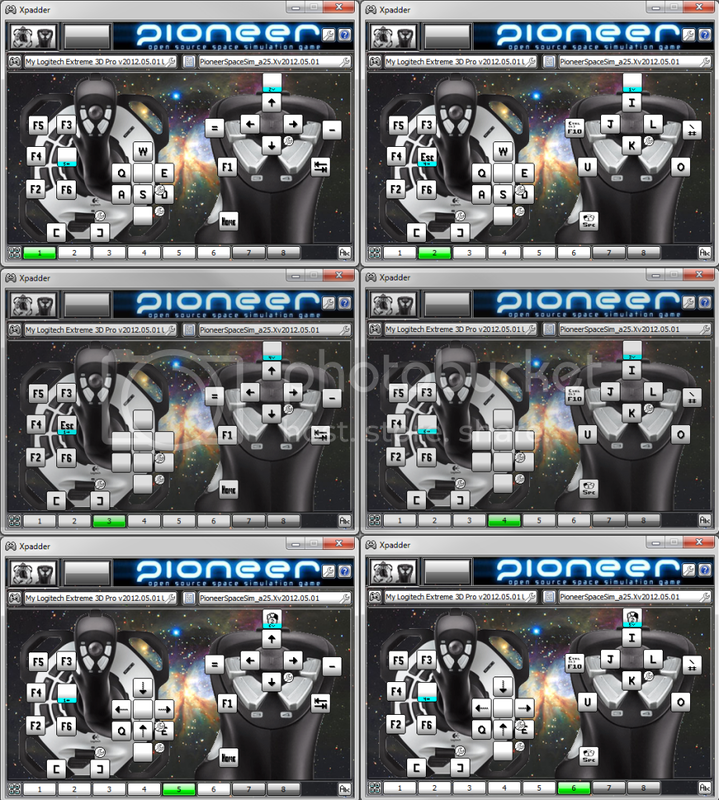 Updated for Pioneer Alpha 27-28 and up new key layout. 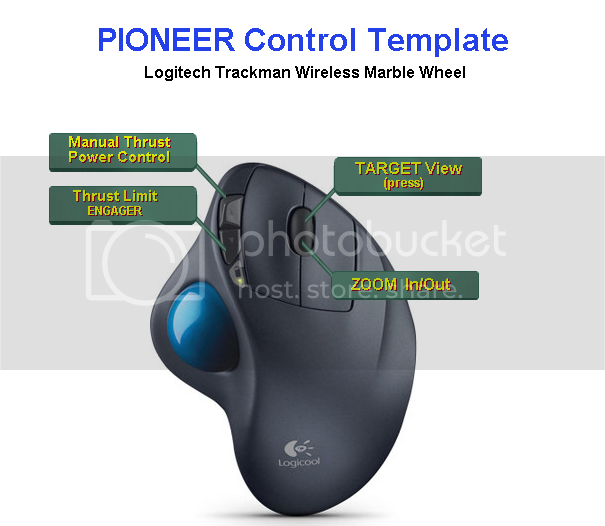 Pioneer supports simultaneous use of multiple mouse/keyboard and Analog flight controls. inputs, and is in not meant as a replacement. User Instructions: Please read first. - the profile may fail to work correctly. may change in later versions. This profile was designed and tested for Pioneer Spacesim Alpha25. so this profile does not include any Xpadder mouse settings support. The 3 joystick control modes can be changed in game using the Emulation Mode switch. simply a press of the Emulation Mode button. pressing the Emulation Mode button while the trigger is depressed. IMPORTANT Whenever entering or exiting analog mode the game config screen will appear. Each time the analog mode is enabled - you should confirm these axis have not changed. -ie: Joystick ASWD mode emulating keypresses. to disable the analog joystick option in Pioneer's controls screen. These screens are from the 3.0 version but will give you 'some' idea of the layout - without the new key changes. Xpadder screens with labels on keys. Xpadder screens with characters on keys. Be sure to have your joystick well calibrated to eliminate ALL drift issues. Increasing this number increases the size of the deadzone. Failing all the above, means it's time for a new joystick. axis settings are correct: Pitch -JoyO Y Axis, Roll JoyO X Axis, Yaw JoyO 3 Axis. trigger button in while pressing the Emulation Mode button. 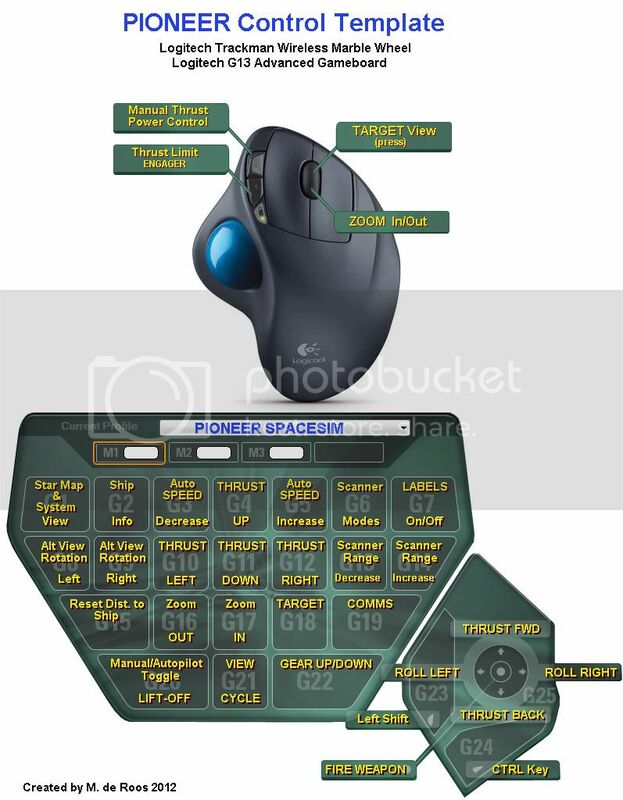 mouse emulation modes via the Emulation Mode button. screen to disable the analog function - once done you will be in the default keyboard mode. Mode button (without pressing the joystick trigger). other functions over time, depending on their usefulness. In addition there are still 2 unused teirs, so there is lots of room for the profile to evolve. 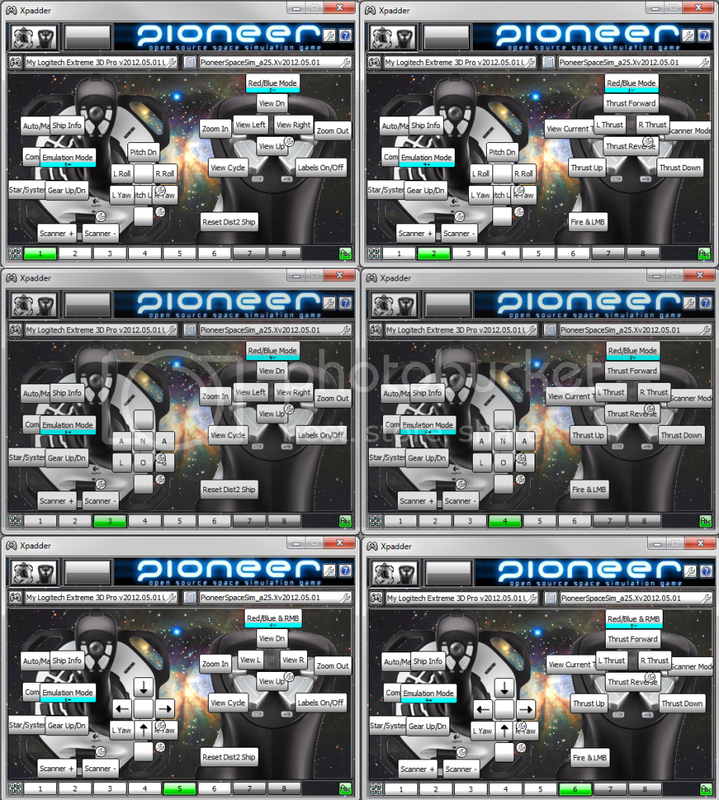 Pioneer background Themes available in Xpadder themes area. Last edited by baobobafet on 16 Jun 2013, 07:17, edited 4 times in total. Maybe you want to use the Hide Box for the images, it would make your post much smaller, it works similar to the Code Box. The Profile Converter is only for gamepads that are similar to the Xbox360pad, so no it's not compatible. My older v3.0 joystick config is more compatible for older alpha versions of Pioneer (pre Alpha27), since it retains the old keyboard arrangement. A small but important update to the older 3.0 version that swaps the "view cycle" function with the "labels on/off" function. Solves issues with inadvertent changing of views, when applying upwards thrust, due to the trigger qualifier system. Last edited by baobobafet on 18 Nov 2012, 01:24, edited 1 time in total. You can always edit your first post, if you made changes on your profile. That way it is easier to find. As in v4.0, this profile supports the new view keys for the current version and should work for all versions of Pioneer after Alpha28.